Most don’t know about the one insulation technology saving homeowners hundreds. When you think of insulation, what comes to mind? Maybe some pink, cotton candy type material. Possibly some type of insulation being blown out of a tube. Often times, we hardly think of it at all. However, what you don’t know, can hurt you. The average homeowner spends around $2,000 on energy for his or her house. 50% of that is from heating and cooling. Most of us know what we spend each month, but that number can be alarming. Even, if that doesn’t bother you, the next facts should. If the unsealed parts of a house were put together, they would be the size of an NBA sized basketball. Imagine money just flowing in and out of a hole in your house and you have a good picture. What can be done? Let’s let the American Chemistry Council give a little intro. Imagine what could be done with all of that money. Maybe some could go to savings, house upgrades, or a nice family vacation. Spray foam fixes that problem. By combining two materials, isocyanate and polyol resin, insulation is born. Also, the chemical reaction makes the foam expand to 30-60 times its initial volume! Why is that a good thing? Expanding insulation fills those gaps causing the 40% energy loss! So, what are some benefits of high-performance spray foam? What do you think? 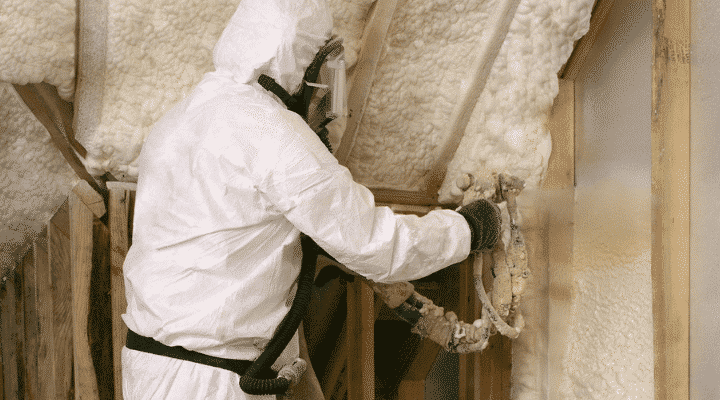 Is your home ready for spray foam insulation? If you like what you read, check out spray foam page: Spray Foam Service Page. Also, please check out our partners, Demilec and NCFI.